This guy's dam is most impressive. Her 5 calves have an average 205 day wt of 748 lbs! R-436 sports the second highest average daily gain for 2018 and he's out of one of our herd sires. 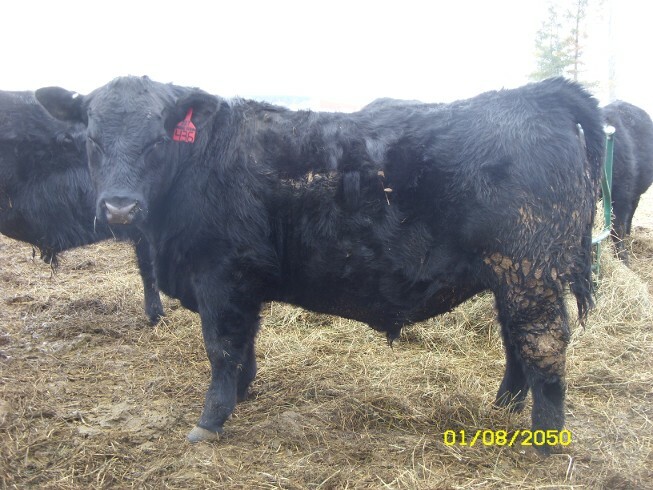 He weaned off at 827 lbs @ 205 days. Started out small, but ended being one of our largest bulls. Granddam was the best cow ever whose weaning ratio was 13 @ 106. Had a few girls come close, but none have beaten her. EPD's are above average but want's really important here is his average daily gain. Don't forget he's pure calving ease.